Share the post "Different Place, Different Taste: Try the World"
I enjoy visiting local restaurants and trying out different foods during my travels! I believe an adventurous life is a life lived well. I also believe that adage can easily be applied to food, too. Global-inspired food subscription companies like Try the World had adventurous foodies like me in mind when they launched in 2013. Try the World, true to their name, curates the best of the best gourmet food inspired by a select destination. 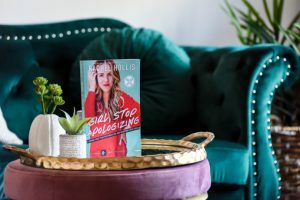 They’ve garnered the likes from Travel + Leisure, Condé Nast Traveler, Departures, Marie Claire, Steamy Kitchen, Domaine, INC., NBC, ABC News, The Huffington Post, The Wall Street Journal, and CNN within the past two years. Every two months, they’ll enlist on the help of expert chefs and feature a new destination such as Istanbul, Rome, Argentina, Venice, England, Rio, or Paris, to name a few. Each box comes with 6-7 gourmet goods that will tantalize the eye and palate! The July/August 2015 theme for Try the World is Japan! I have never traveled to Japan before, but I have always been intrigued with their historically rich culture and picturesque scenery. It’s one of the countries that I hope to visit someday. In the meantime, I’ll settle for experiencing a hint of their culture in the comfort of my home! 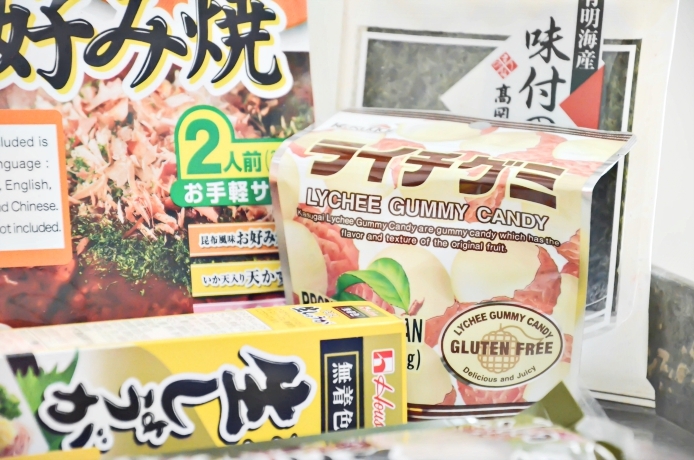 My box included Otafuku Foods Okonomiyaki Kit, AOI Tea Blueberry Matcha Tea, House Foods Ginger Paste, Takaokaya Seaweed Snack, Ishiguro Yamaimo Soba Noodles, Kasugai Gummy Candies, and Morinaga Milk Caramels. The box comes with a culture guide that provides insight about Japan’s culture, how to host a traditional Japanese tea ceremony, featuring a playlist of classic Japanese songs; and recipes. There is also a product card that gives additional information about each product included in the box. Otafuku Foods Okonomiyaki Kit: Okonomiyaki is an omelet-esque pancake that’s popular throughout Japan. It’s made with a myriad of savory toppings. The culture guide that’s included in the box features a recipe that can be made for a romantic evening with that special person. Ishiguro Yamaimo Soba Noodles: These traditional noodles are made with yam extract and buckwheat. They can be prepared in various hot and cold dishes, whether it’s hot broth or a cold salad that’s dressed with ponzu sauce. AOI Tea Blueberry Matcha Tea: Matcha is a powered green tea used in the Japanese tea ceremony. It has a wealth of benefits, including detoxification, improving poor concentration, giving a boost of energy, improving vigor and vitality, and providing protection against various antigens. AOI Tea makes this matcha by cultivating their plants in the shade, harvesting the leaves by hands, and grinding them to a fine powder. You can whisk this powder in hot water and drink for optimum health! Kasugai Gummy Candies: In 1923, this brand started out by selling nuts and dried fruit in a small shop in central Japan. It wasn’t long after that they created gummy candies, which is still popular since their inception. I have always enjoyed this type of candy, but this is by far one of my favorites! House Foods Ginger Paste: Committed to sustainability, House Foods makes it products in a facility outfitted with solar panels. Their ginger paste is effortlessly easy to use. It’s also impressively versatile: whisk it into soy sauce and use as a dipping sauce or dressing for noodle salad. Takaokaya Seaweed Snack: Seaweed snacks are one of the healthiest, yet most delicious snacks! They can help aid in weight loss, digestive health, and lowering cholesterol. They also have a number of essential minerals and vitamins. Takaokaya harvests wild seaweed from the ocean, then dries it by following an ancient process similar to paper-making. It can be enjoyed straight from the bag, or crumbled over rice dishes. Morinaga Milk Caramels: This small box of caramels packed a powerful punch by tantalizing the taste buds! Morinaga uses their traditional recipe that dates back to 1899, the year when the company was founded. These butterscotch-esque sweets are still a sweet reminder of childhood for those born in the 1940s and 50s. You can subscribe to Try the World bi-monthly ($39 per box), semi-annually ($35 per box), or annually ($33 per box). They offer free shipping. They also offer free returns if any of the boxes don’t meet your satisfaction. You can also cancel your subscription at anytime without any hassle. Try The World works with small producers from around the globe, so each box may have a slightly different selection of products or flavors than what is received. However, all products must pass their highly selective criteria to be included in their curated boxes. This post is sponsored on behalf of Try the World and Tomoson. All opinions are exclusively my own. 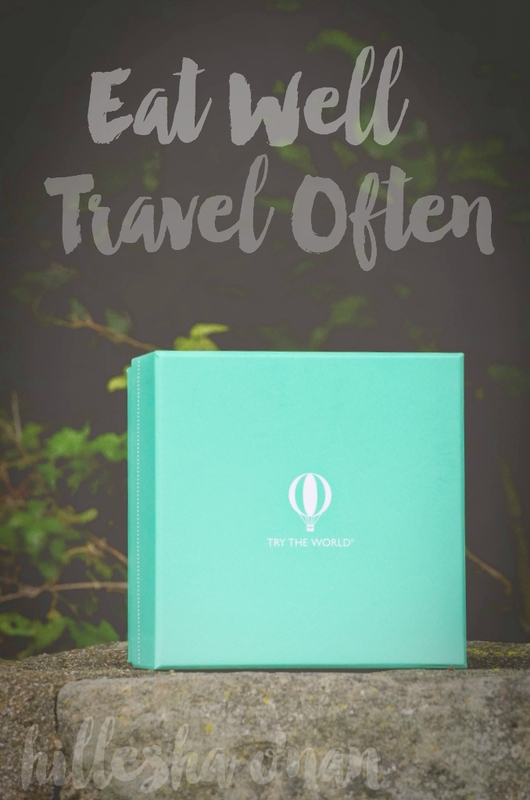 What a great idea and I love this travel and food related subscription box! This would be a great way for people to learn more about the world and for them to experience unique foods too! I am very adventurous and would LOVE to taste each and every one of your goodies this month! They’re coming out with the most awesome subscription boxes lately! Try the world may be the best idea I’ve seen yet, though! Thanks for sharing. I’ll have to check it out. I love trying cuisine from other parts of the world but often don’t know where to find them. 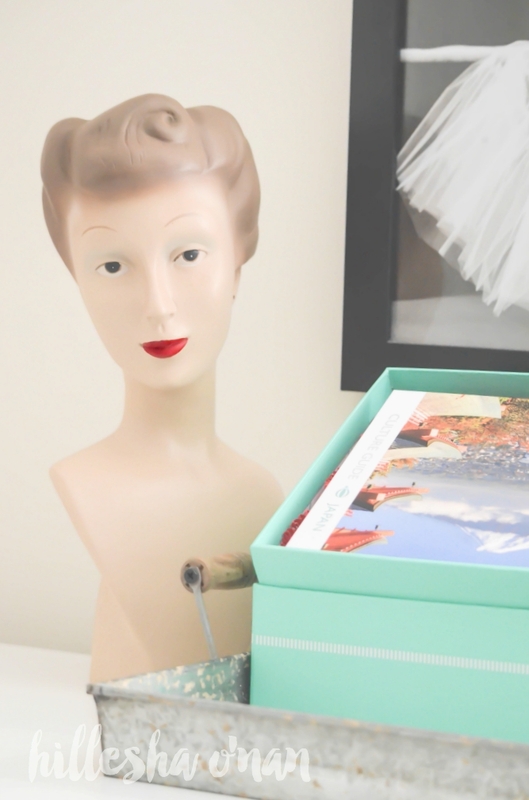 This is such a great box and I’m going to have to look into subscribing! Those Try the World boxes look like such a fun concept. I would love to try that Japanese box too because I am probably never going to travel there! My nephew recently went on a trip to Japan and loved all their foods–and that is saying something from the guy who survived childhood on peanut butter and jelly sandwiches (literally). I bet he would love to get this subscription box for a present! Try the World sounds like a wonderful subscription service. I’ve always loved trying new flavors, and this is an easy way to do it. We love Try the World and this has easily been our favorite box so far! Have you tried many other subscription boxes? Their boxes keep getting better. 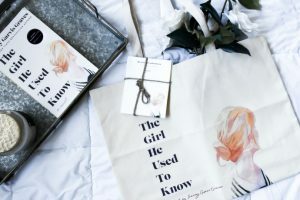 I see this subscription box being featured by many bloggers and it makes me want to try it. Well, I do eat Japanese seaweed occasionally. Andi recently posted..Save Up To $27 When You Go Shopping Today! So many different subscription boxes available these day. What a great way to help a busy mom out who wants to try something different. It would be so cool to try some food that is popular in other areas. The seaweed snack sounds good! Try The World sounds like the best subscription box! Looks like a good haul and a convenient way to try food from different parts of the world. What a great idea! This box sounds like the perfect gift for my husband. I’ve never really tried anything from different parts of the world but would love to give this box a try. Looks great. I love this idea as a gift for some of my friends and family who have it all. I know so many people that would like to know more about a place like Japan without the long plane ride. This is so cool. I love it. Thanks for sharing your passion with us. this would be good to use in a classroom setting to teach children about different places, people and cultures. I’ve never heard of Try the World. How intriguing. I did try the world so to speak during a trip to Paris and Rome earlier this year. It was very cool to try different foods and to see how they use more fresh ingredients and less preservatives. Melanie Pickett, Flying Blonde recently posted..The Best No! I’d hadn’t heard of Try the World. Very interesting. What a cool idea! Thanks for sharing. This looks like a great box. It’s nice to try the different foods from other cultures. I will check out this box. How fun is this?! Thank you for sharing a great way to experience a different culture. I have never heard of it, but it looks very interesting! We are studying different cultures and countries in homeschooling this year, and this would be a perfect addition to the curriculum. It would be so much fun to prepare with the kids and to sample all the foods! I love all the educational material they give you too. Tammy @ creativekkids recently posted..Ready for Vacation? Printable Checklists! My husband got the box a few months ago and he absolutely loved it. I think it’s such a fun and unique idea especially for people like me who doesn’t try very many different foods. It’s perfect to explore. This sounds like such an awesome subscription box! I really love to try different foods from all over the world so I would really like to get this! What a fun idea… sounds like the perfect concept for a date night in… I’ll have to remember this! This is a cool idea. I haven’t tried these boxes but it would be a fun way to teach kids about different cultures around the world. What a cool way to sample cuisine from all over the world. This is a very affordable option for people who don’t travel. This definitely sounds like a good way to experience the different types of foods around the world. I personally would love to try the Lychee candy! I have also never been to Japan before but the thought of learning about its culture makes me feel excited. It’s always great to visit a neighboring Asian country. I would love to try the Kasugai Gummy candies. OH! Subscriptions boxes are so fun! I got a beauty one for a while. This one looks pretty neat! 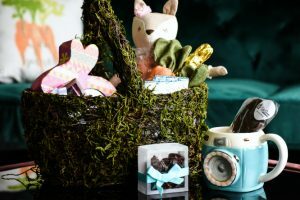 This sounds like an awesome subscription box and it makes for a great gift idea as well. I would love to try different foods, snacks, etc. from different areas of the world monthly. That would be awesome. Thanks for shairng. Well I want to try the seaweed. Who knew it was healthy? I surely did not! I love trying different foods too. We check a different restaurant whenever we eat out actually. I haven’t tried subscription boxes yet. I want to try it though. I would have loved to have tried the AOI Tea Blueberry Matcha Tea – I’ve never had a different flavor of matcha before. I did not know that Try the World covered Japan. The packaging on that box is so appealing! I’ve been wanting to try a subscription food box but just haven’t found one yet! This one though looks good! Marielle Altenor recently posted..Exploring the neighborhood! Wow! I’ve never heard of this! This is a neat way to try foreign foods without traveling! What a fun looking box! I’m not huge on subscription boxes, but this one is unique. I have never heard of this! What a great idea! Thanks for sharing! 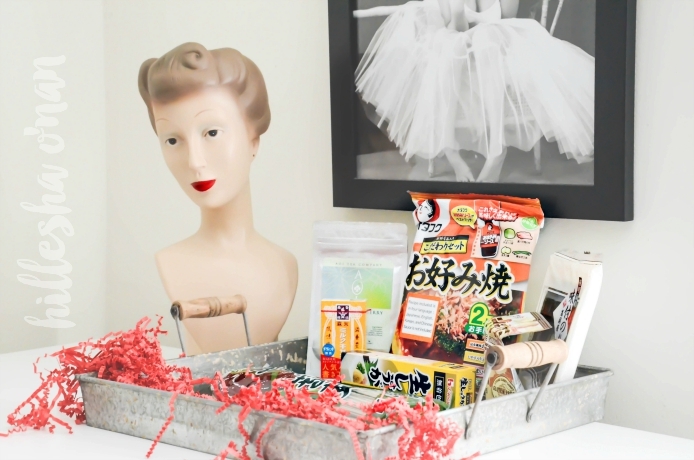 I love the whole idea of this subscription box! How fun and exciting it would be tasting other countries’ delicacies. A box full of Japanese goodies. Everything in this box sounds delicious. I like trying out foods from different cultures. I will check out this box. I love to travel and try out different foods. I would love to try out this box! I would LOVE to have a food subscription service. One of my favorite parts of traveling is trying new and different food, and this brings it all home! This is a very cool idea! This company is very unique! Chari recently posted..Inspire Me Scripture Jewelry Giveaway! I am a big fan of seaweed snacks. They taste so good and are nutritious as well. What a cool way to try different food and snacks from other regions. I’m quite familiar with Japanese food, so a lot of the items you mentioned above are things I eat frequently like the soba noodles, seaweed and the gummy candies. Man, those are so addicting. Enjoy your box! I am very interested in world culture. I would love to have a box like this one! I like the global food subscription box concept. Japan was an excellent source of food offering for the month. I love exploring different cuisines. This is such a fab idea! Hope it comes to South Africa, would be awesome to try it out. Wow. Great idea for Try The World! For sure many will subscribe and try their program. Love this! What a great way to try new foods. We have several markets around here with international foods and I do venture out and try some. I have someone in mind this would make a perfect gift for. This looks like such a fun subscription box. My husband and kids would get such a kick out of trying new foods from around the world. OMG, I have never heard of this. How have I never heard of this! I am so jelly right now, because I love everything about Japan, and I can’t wait to go visit soon. I would have loved this box! I will definitely be signing up for this. Thanks!!! 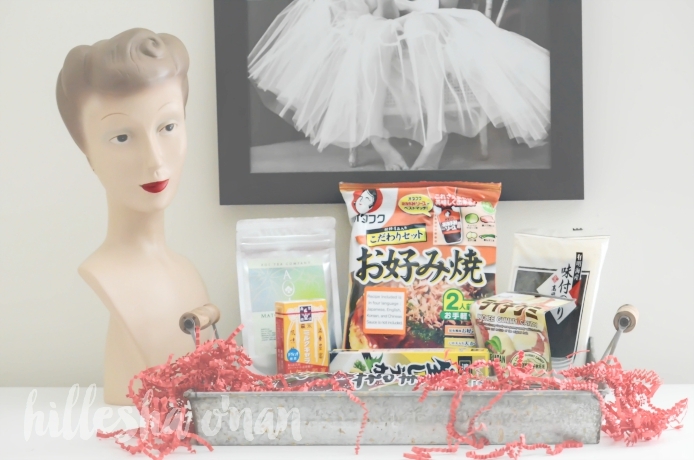 I love subscription boxes, I especially love when they’re as creative as this one. I would totally love this!